With Copenhagen as his home and Europe as his classroom, James Ross DeVault, a fourth-year Master of Landscape Architecture student, found studying abroad to be an award-winning experience. 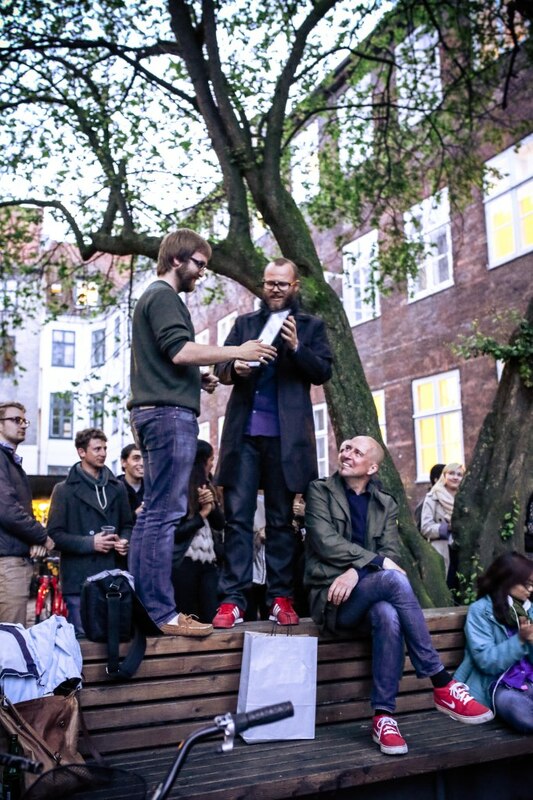 DeVault, St. Charles, Illinois, recently earned the Academic Award in Urban Design by the Danish Institute for Study Abroad. He was chosen out of 152 students who attended the institute during the spring 2014 semester. The institute presents four academic awards, one in each of its program disciplines: architecture, interior architecture, urban design and graphic design. The awards are given to celebrate students who not only excelled in studio work, but who also took an active part in academics. The nonprofit Danish Institute for Study Abroad is in Copenhagen and partners with Kansas State University in offering semester, academic year and summer programs taught in English. Established in 1959, the institute offers American students intensive, rigorous course work with field studies, hands-on learning opportunities, and study tours in Denmark and across Europe. The program promotes students gaining academic knowledge and intercultural leadership skills to prepare for their future careers in a globalized world. All students in the five-year landscape architecture program offered by the College of Architecture, Planning & Design are required to complete an off-campus experience. DeVault attributes his success during his semester at the Danish Institute for Study Abroad to the educational opportunities provided to him at Kansas State University. 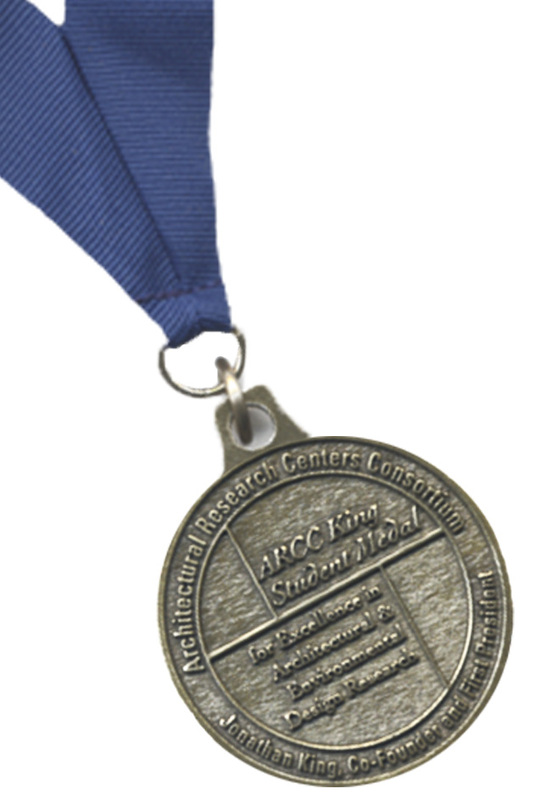 The ARCC King Medal is awarded to one student per Architectural Research Centers Consortium member college, school, institute, or unit and is based upon criteria that acknowledges innovation, integrity, and scholarship in architectural and/or environmental design research. The APDesign medal recipient is selected from nominees from each of the College’s four disciplines by a jury of University researchers. The RCP King Medal nominee is nominated by their major professor and selected by a jury of faculty. Petersen’s nomination was based upon her master’s report, Food truck fever: a spatio-political analysis of food truck activity in Kansas City, Missouri. Her supervisory committee was Dr. Hyung Jin Kim, major professor, Dr. John Keller, Department of Landscape Architecture and Regional & Community Planning, and Dr. Kelly Getty, Department of Animal Sciences and Industry/Food Science Institute. Petersen’s master’s project looks at the benefits of food trucks and how cities can modify their policies to encourage food truck activity. Her study engaged multiple stakeholders in order to inform policy guidelines that allow food trucks to operate effectively, thus augment the benefits food truck activity provides within a community. The driving force behind Petersen’s research topic was her interest in public spaces and active transportation. While research in the past several years has demonstrated the benefits of food trucks, her research addresses a gap in the literature by exploring the policy implications of food truck activity.